Boomerang Bags is about making bags, diverting waste, starting conversations, connecting with each other, fostering sustainable behaviour, and having fun! It is a community driven initiative, dealing with the issue of plastic pollution at a local level. 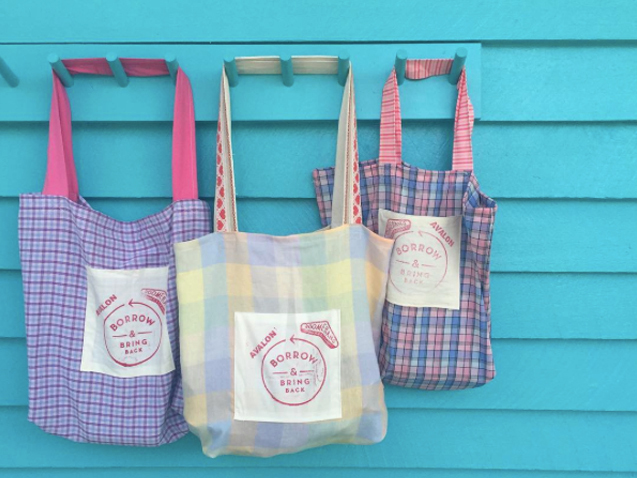 Boomerang Bags is all about having fun and being creative while at the same time, providing a free and sustainable alternative to plastic bags, which shoppers can borrow when they need a bag rather than using plastic ones, then bring back later. The Boomerang Bags Community is all about spreading awareness, starting conversations, making friends and working together to shift society’s throw away mentality – one community, needle and thread at a time! Boomerang Bags relies solely on the generosity, time and creativity of volunteers. If you’d like to join a community, create your own bags or simply donate materials, we strongly encourage you to get involved. All donations help to reduce the impact of plastic bags on the environment, whilst inspiring and unifying craft lovers. Come along, sew, and chat. Any questions message Anne on 021 257 7076.